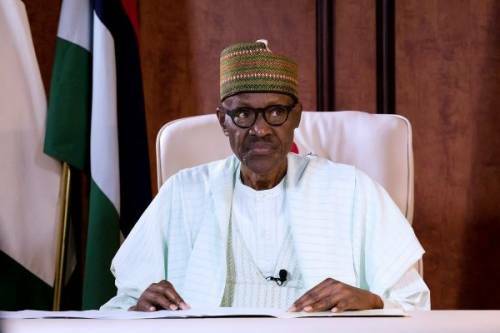 President Muhammadu Buhari says no part of the country is under the control of Boko Haram insurgents. He said this while delivering his remarks at the world economic forum on the Middle East and North Africa. “Today, I am pleased to say no territory in the Federal Republic of Nigeria is held or controlled by Boko Haram,” he said. Earlier in the remarks, the president said the deaths, damage and destruction caused by groups such as Al Qaeda, ISIS and Boko Haram over the last ten years will take decades to repair. He said most of the organisations have been degraded, and that the world which came together to achieve this, is faced with the task of rebuilding. The president also said Nigeria celebrated being the largest economy in Africa and one of the fastest growing economies in the world, but Nigerians were migrating in droves through harsh desert conditions and across treacherous seas to seek what they believe would be a better life in Europe. He said he strongly believes that the lack of social and economic inclusion was the root cause of many challenges the country is experiencing.